Living in a concrete jungle has its own set of pros and cons. With high-rise apartments and spectacular gated communities transforming the urban landscape, the struggle of getting a good dose of the great outdoors into your life is a challenge faced by many city residents. 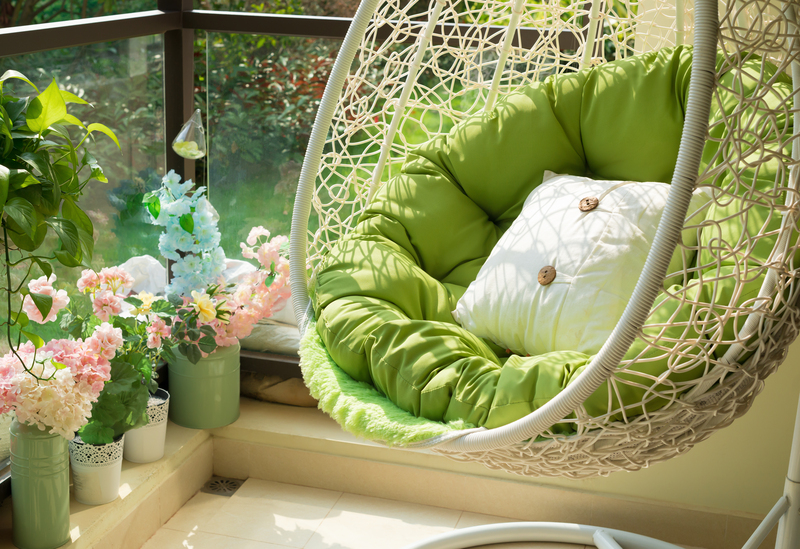 However, whether you have a small veranda, an open patio or a compact balcony, you can dress up your space with easy balcony garden ideas and make your own version of paradise on earth. 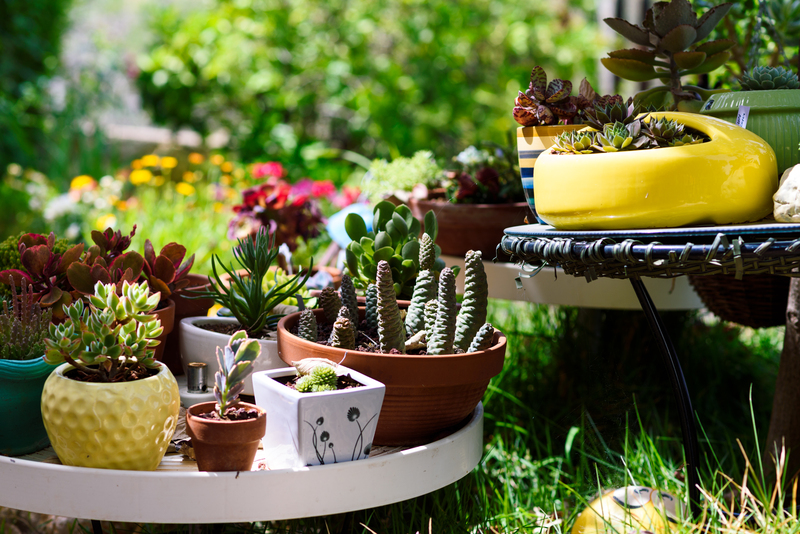 One of the best balcony garden ideas that instantly enhance the look and feel of your space is to literally think outside the box when it comes to placing your pots and plants. Utilise the walls and railings of your balcony by installing hanging pots. You can also opt for creepers that grow along the fences, giving your balcony a cosy look. Go bold by fixing shelves along the walls and placing colourful pots on them of different shapes, sizes and textures. This way, you have more space left on the floor to plan an intimate seating arrangement, or just walk around amidst the dense shades of green. Make sure the plants and herbs are cleaned regularly, especially since they are at eye level. The last thing you want to display is fresh leaves coated with dirt and dust. You can cover your wall of potted plants with striking wallpaper in the backdrop to contrast the intense hues of nature. Bring your balcony garden to life by making it a reflection of your personality with pots and containers. You can use interesting ceramic vessels, mason jars, tin boxes or even rusted drums to bring in old-world charm. One of the best balcony garden ideas is to use colourful watering cans as pots to give your balcony garden a quirky outlook and make your dream home come to life. Consider using containers of different sizes and colours stacked together for a chic look. Make your balcony garden an extension of your kitchen by using kitchen utensils instead of pots. Choose from ceramic tea pots and stainless steel jars to keep the compliments coming! A balcony garden has much more to it than vibrant pots and lush plants. Get your creative juices flowing by dressing up your balcony with unique figurines and quirky silhouettes that complement the good vibes of the space. This is also one of the top Feng Shui tips for your home. 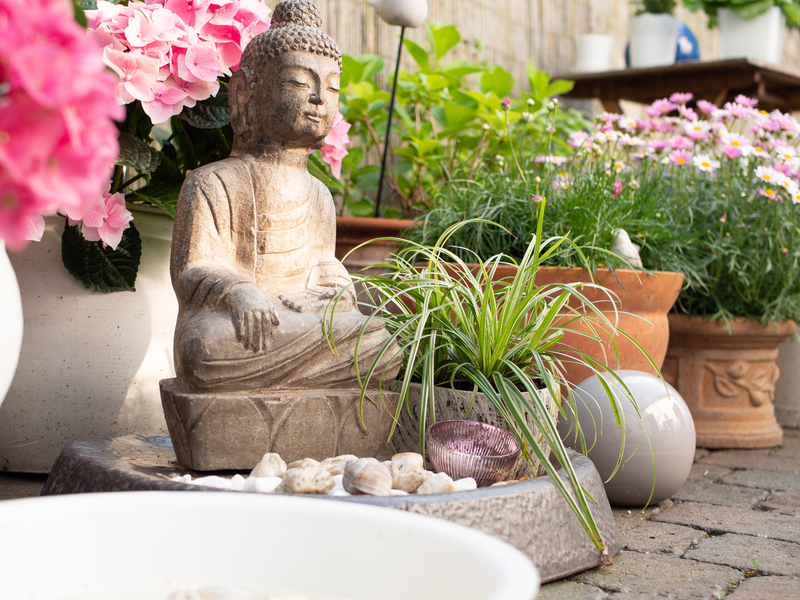 From beautiful Buddha statues to funky terracotta tiles, the world is your oyster when it comes to balcony garden ideas. Add a dash of colour with pop-art hung up in bright frames on an empty wall. You can also take the design game up a notch by hanging up a chalkboard used to reflect your thoughts or keep your spirits up with motivating quotes. Make your balcony garden Instagram-worthy by placing tiny figurines in the soil of your potted plants. 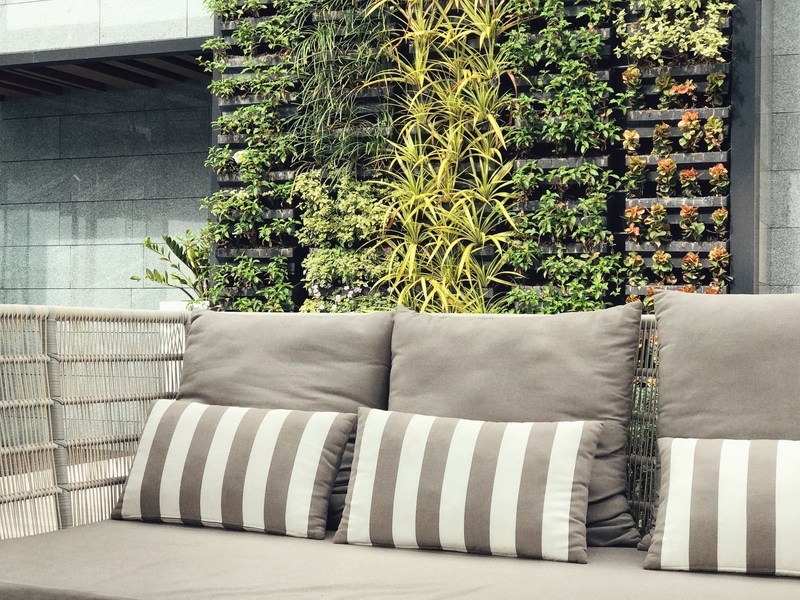 These intricate details go a long way when it comes to balcony garden ideas. You can also opt for pots that are in the shape of interesting faces and figures to give your balcony and instant makeover. Mood lighting has taken the interior décor industry by storm, and your gorgeous balcony is no exception to this. Apart from the basic warm lights, spruce up your balcony garden with string lights and Chinese lanterns, giving it an instant makeover. You can also opt for cute little candles that offer the twin benefit of soft lighting and a lingering fragrance. Lights have the power to enhance your mood and increase the energy levels of the room. Opt for floor lights that complement the space for an aesthetic appeal. You can also use string lights as frames around pictures and quotes to draw more attention to your balcony. Covering your floor with a turf rug is a brilliant way to make your balcony garden look lush and luxurious. The fibrous green carpet works wonders during monsoons by ensuring the water drains out, leaving your floor clean and dry. Additionally, the deep shade of green will effortlessly complement the plants, making your balcony look like the centre page of a décor magazine. You can either cover the entire floor with a turf rug or just border your balcony with it to keep the centre open and clutter free. 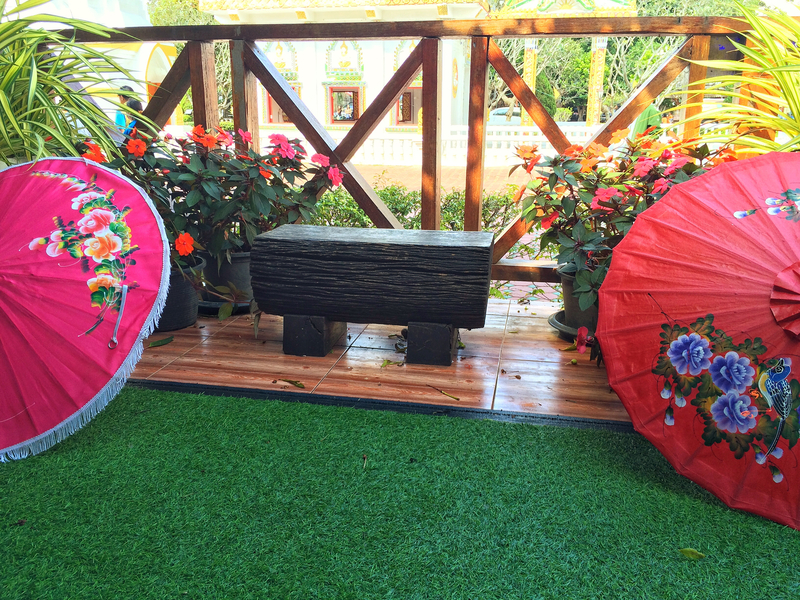 A faux grass mat is not the only option in rugs to choose from to design your balcony garden. You can also pick water-resistant rugs in vibrant shades and patterns to add a pop of colour to your balcony. Additionally, you can hang up the rug on one of the walls to create a gorgeous backdrop for all those spectacular family photos. There is nothing more refreshing than sipping on morning coffee in your cosy balcony. Do not hesitate to level up your balcony garden with magnificent lawn furniture that can instantly elevate your senses. Whether your balcony is a wide space or a smaller intimate spot, you can always find furniture to fit in based on how adventurous you feel. Opt for foldable chairs and extendable tables if you face a space constraint. However, make sure you choose furniture that is water-proof. Wrought iron chairs and impeccable cane furniture are perfect for balcony gardens as they are resistant to all weather conditions and are a sight to sore eyes. If you have a partly covered balcony, you can also consider installing a hammock and make it a reading spot for self-rejuvenation. Avoid using fabrics like silk or leather in the balcony as they do not work well with tropical climatic conditions. Opt for light cotton instead which is easy to wash and is available in a wide variety of colours and patterns. You can try installing a light-weight roof top to partially cover your balcony furniture and guard yourself from piercing sun-rays. These balcony garden ideas are guaranteed to make your balcony look luxurious and plush with the added bonus of comfort and practicality. 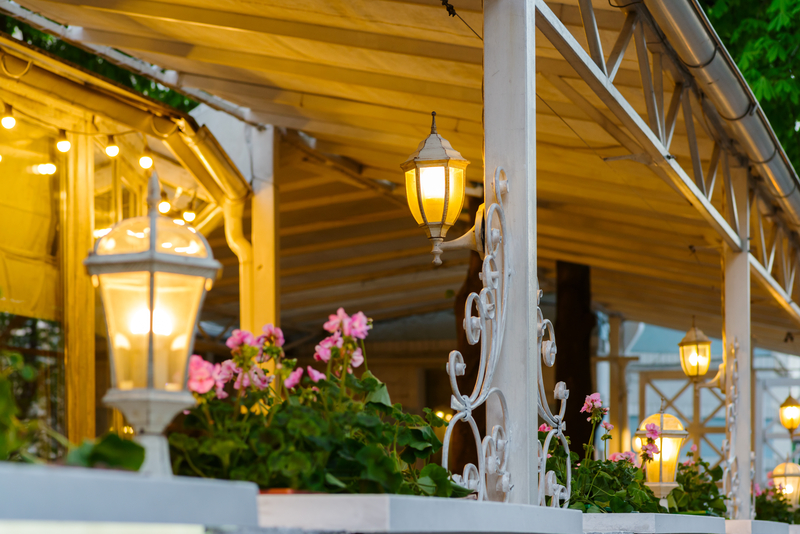 It is time you incorporate these ideas in your favorite spot and let your balcony be an extension of your personality. Visit Legacy today for top investment options in Bangalore with classy sit-outs and create your own green heaven.